Marina Bay is the prettiest and most desirable place to stay in Singapore. The stunning architecture of the glass-front office towers, swanky hotels and grand colonial buildings make the most iconic cityscape. Most visitors would love to stay in a bay-facing five-star hotel, but this is prized real estate so it’s expensive. This tourist hotspot is also one of the major business areas of Singapore, so there’s a vibrant cosmopolitan vibe all along the pristine pavements and inside the many shopping malls, subway stations, restaurants and rooftop bars – all of which can be found easily in Marina Bay. If you are visiting Singapore it’s practically guaranteed you will be spending some time around Marina Bay, so we have compiled this handy list for first timer visitors so you can see what not to miss. We have covered everything from what to see and do, where to eat and even the best hotels to sleep in at night. With just a little bit of preplanning you can be sure to maximise your first time in Singapore, going to the best places and avoiding the tourist traps that so often can spoil an otherwise great day. Marina Bay has enough attractions and activities to fill a whole trip so you certainly won’t be stuck for things to do. You will find many of the city’s must-see attractions in Marina Bay: Gardens by the Bay, Singapore Science Museum, Singapore Flyer and the famed Merlion fountain are just the tip of the iceberg. There are loads of family-friendly experiences in Marina Bay. Restaurants around here can be summarised by one word: fancy. This is where Michelin-starred restaurants and fashionable food trends can be found in abundance. There are also cheaper eats, although Marina Bay is really more on the swanky end of the scale. Nightlife in Marina Bay typically includes high-end cocktail bars with jaw dropping views. There are a couple of nightclubs around, but the scene here is definitely more about enjoying cocktails than dancing the night away. Most places have a smart casual dress code so leave your flip flops and shorts at home. Shopping in Marina Bay doesn’t hit the same levels as Orchard Road, but thanks to the hulk-sized Marina Bay Sands there is now a dedicated high end mall along with a couple of older, more mixed ones. 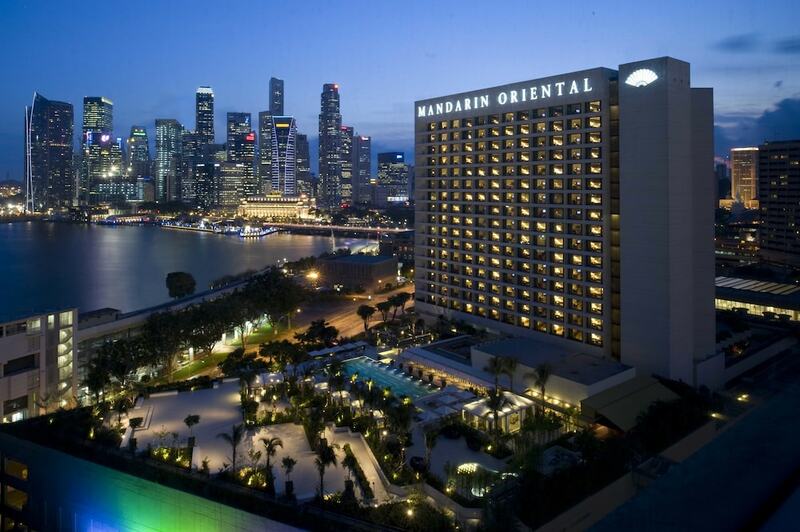 These hotels in Marina Bay are some of the fanciest around. Taking in sweeping views of the city, the sea and all of the famous attractions in this area, Marina Bay is a very popular place to base yourself when visiting Singapore.